This performance will be a world premiere in the presence of the director William Friedkin and about 90 min long plus encores. The well-known soundtrack of TD’s first Hollywood movie can be heard in a newly arranged setting including some extra material which didn’t find its way into the original movie score. 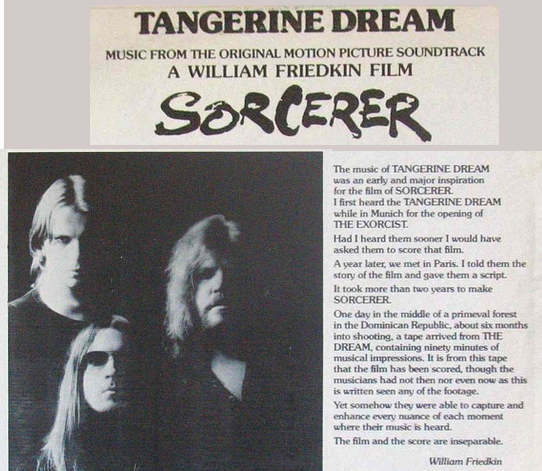 The extra score came from some sheet music Edgar Froese wrote back in 1976 for the movie. SORCERER will be performed in the great TIVOLI Concert Hall. Don’t miss this unique concert – TD’s first time in Denmark with such an extraordinary set!